mCODE is an initiative intended to assemble a core set of structured data elements for oncology electronic health records (EHRs). It has been created and is being developed by ASCO and its wholly owned non-profit subsidiary CancerLinQ LLC in collaboration with MITRE Corporation. The goal for the mCODE project is to facilitate cancer data interoperability and improve overall cancer data quality for patient care and research. mCODE is a set of elements that would form the basic data that would populate all EHRs for patients with cancer. The data elements would be sufficiently clear so that a query related to a particular patient would return a cohort of matched, de-identified patients from a larger database, such as CancerLinQ®. By having common data elements, the exchange of basic data would be streamlined and the quality of the data increased. 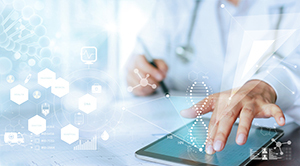 The project also is necessary because current EHRs often cannot fully support the growing data complexity of modern multidisciplinary and molecularly informed oncology practice and patient needs. Now that the multidisciplinary mCODE Workgroup has completed its first draft of the mCODE data specification, ASCO is welcoming comments and suggested revisions from stakeholders across the oncology ecosystem. To view the draft and offer input, see the survey page: https://www.surveymonkey.com/r/ASCO_mcode_feedback. The survey will close at 11:59 p.m. (ET) on February 19.